I need to get in touch with the gentleman in the below video. 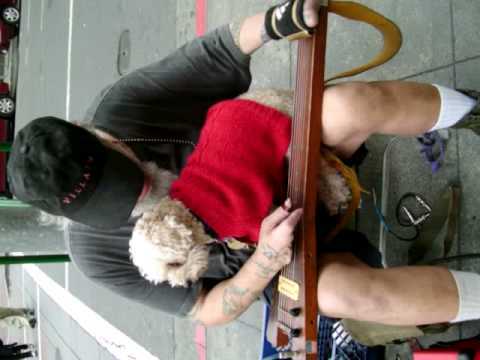 He is a street musician in the Bay area and his name is Terry Saluga and goes by TT Fingers. Do any of you ever see this guy on the street.....I need a contact...email...phone...mailing address....anything. He was once a member of a band that I released an LP by on Rockadelic...and even though he does not appear on the LP the drummer is trying to get in touch with him......any / all help will be appreciates....and I'll owe you too. I am acquainted with hook or TT fingers in his youth. My brother bumped into him in downtown Oakland. If you bump into him. Drop me a note.